Few things are more tragic than a brain injury. If you or your family member has suffered a brain injury and you live in Atlanta or anywhere in Georgia, you know all too well the tremendous pain and suffering that he or she must endure on a daily basis. There are varying degrees of brain injury. In any case, the earlier a brain injury is diagnosed, the earlier a person can begin a treatment program. If you or a loved one have suffered a brain injury, you should contact a lawyer with experience in brain injury-related cases to discuss your options. What Should I Do If I Believe a Brain Injury Has Occurred to a Family Member? Traumatic Brain Injury that results in a wrongful death or severe injuries that may permanently impact your life in terms of your income or long-term health requires experienced, high quality lawyers that will appropriately pursue your case on your behalf as a result of the serious harm do to negligence. It is imperative that you contact an attorney as soon as possible so that medical records will be preserved in order to insure that all evidence is available to support your case. We can’t change what happened. 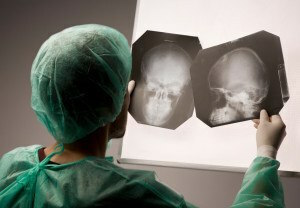 However, we can help you recover the medical bills and other expenses that have resulted from the brain or head injury. If the brain injury occurred in a car accident, truck accident, motorcycle accident, slip and fall, due to a defective or dangerous product, or in some other way due to someone else’s negligence, you deserve compensation. Because head and brain injuries are serious injuries, you cannot afford to trust your future to anything but the best, most experienced brain injury lawyer. As experienced personal injury attorneys in Georgia, Slappey & Sadd, LLC know how to protect your rights in a way that a lawyer who does not concentrate on these types of cases cannot.